The signs may seem random but tingling, fatigue and blurred vision can all point to the progressive immune disorder multiple sclerosis (MS), especially in people ages 20 to 40. 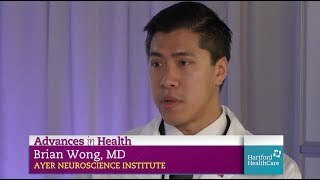 Dr. Brian Wong of the comprehensive Neuroimmunology Program at the Hartford HealthCare Ayer Neuroscience Institute, explains that in MS, the body’s immune system, which should keep you healthy, instead attacks parts of the body vital to everyday function. This includes the protective covering of your nerve cells, called myelin, causing impaired and diminished brain and spine function. In states like Connecticut, for some reason, there are more cases of MS than states closer to the equator. There are more than 400,000 people with MS in the country, 6,000 of whom live here. Vision and hearing problems. Inflammation from MS affects the optic nerve connecting the eyes to the brain, which can cause blurry vision, double vision, pain in the eye, a dulling of colors or vision loss in one or both eyes. You may also experience a hearing loss in one or both ears. Tingling and numbness. Because MS affects nerves in the brain and spinal cord, it can send conflicting signals or no signals through the body. The result is numbness, usually in the legs, arms, face and fingers. Pains and spasms. The legs are mainly affected by pain and spasms, which can be chronic and involuntary. You may also experience joint and muscle stiffness, tremors and uncontrollable shaking. Weakness and fatigue. Affecting about 80 percent of people with early MS, this is caused by the deterioration of myelin in the spinal column. Weakness is most noticeable in the legs, while the fatigue can come on suddenly and last for weeks. Clumsiness. The effect of MS on the spinal column can also lead to coordination and balance problems, trouble walking and even a change in your gait. Dizziness. When you stand up, you might experience lightheadedness or vertigo, which is a feeling like the world is spinning around you. Bladder and bowel dysfunction – You may find you have to go more often and experience slight incontinence. Some people also have constipation, diarrhea or loss of bowel control. Sexual dysfunction. Because MS originates in the central nervous system, which also controls sexual arousal, being intimate may be challenging. Cognitive problems. Most people with MS will experience memory problems, shortened attention span, language difficulties, slurred speech and trouble staying organized. Emotional health concerns. The weight of a chronic, unpredictable illness can cause major depression, irritability and mood swings. 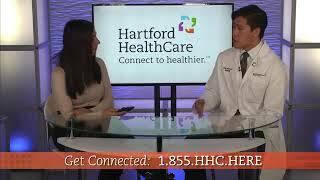 Dr. Brian Wong of the Hartford HealthCare Ayer Neuroscience Institute answers your questions on multiple sclerosis. 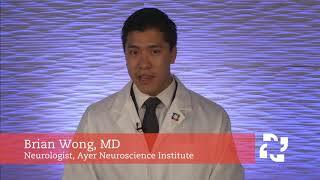 Each week, an estimated 200 Americans are diagnosed with multiple sclerosis (MS). 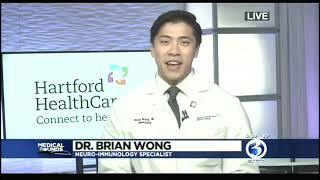 But new treatments bring new hope, according to neuro-immunologist Dr. Brian Wong. 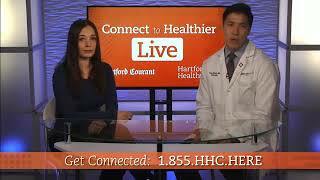 He is helping to launch a comprehensive multiple sclerosis program at Hartford HealthCare's Ayer Neuroscience Institute.